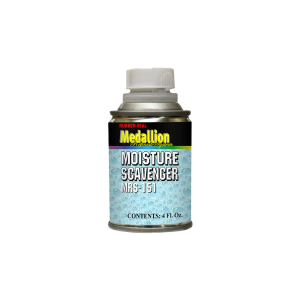 MRS-151 Moisture Scavenger is a clearcoat additive used during high temperature/high humidity conditions. Add 2 capfulls (0.75 oz) per sprayable guart. Eliminates blushing, die-back and solvent popping. Absorbs moisture and allows clearcoat to flow and level better during hot/humid conditions.